MSc student Melanie Dickie tracked wolf movements using GPS collars that obtained a location every 5 minutes. She found that wolves select linear features, such as seismic lines, for travel, and move 2 to 3 times faster on them. Distance travelled by wolves increased by up to 54% every hour they spent on linear features.This may increase their search rate, and ultimately result in higher kill rates of caribou. The Federal Recovery Strategy defines disturbed caribou habitat as any human-caused change that is visible using Landsat satellite imagery. Seismic lines fall into this category, and because tree seedlings grow slowly, the lines remain visible from space for decades. With over 100,000 km of seismic lines in caribou habitat in Alberta’s Oil Sands Area,4 they are an obvious focus for restoration. With an estimated restoration cost of $10,000 per km, the question is, when should restored lines be taken off the books? The “visible from space” definition of disturbance means that restoration today will not produce measurable improvements in caribou habitat for years. However, if wolves use seismic lines to increase their travel speed and hunting efficiency, it may be more appropriate to consider when lines regenerate enough vegetation to slow, and eventually stop, wolves from using them preferentially. Lines with vegetation already exceeding 50 cm would be considered “restored,” providing an immediate bump in undisturbed habitat. 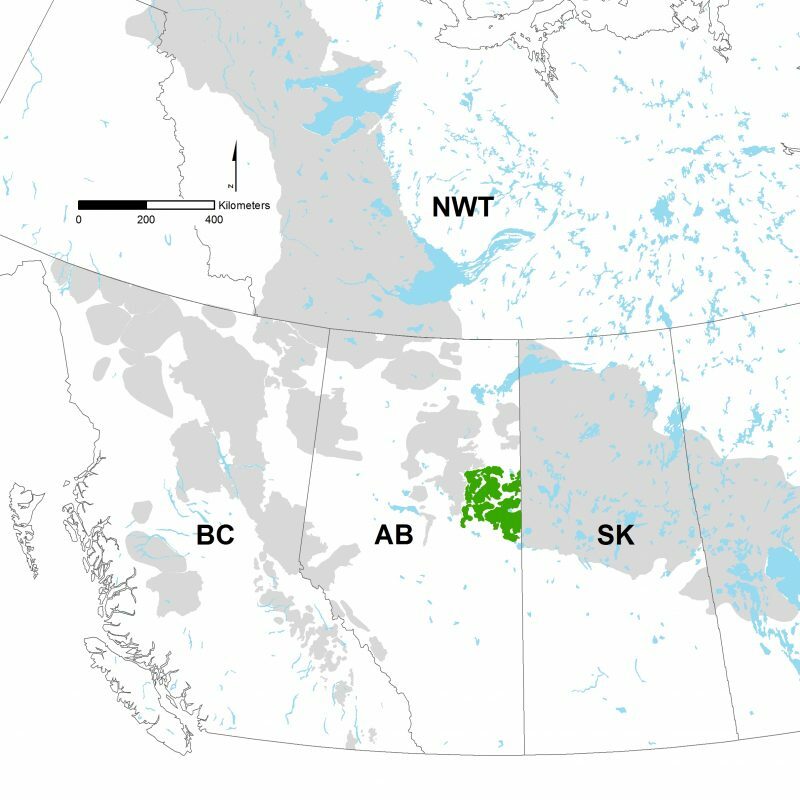 For example, in Dickie’s study area, 13% of lines had already reached the 50-cm height threshold, reducing the cost and timelines required for caribou ranges to meet federal disturbance targets by decades. While more research is needed to determine exactly when wolves begin to treat seismic lines the same as natural forest, Dickie’s work suggests an intriguing new paradigm for seismic line restoration, at least with respect to woodland caribou. Details can be found here, or check-out the fact sheet here.